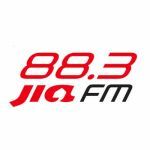 Gold 90.5FM is an English radio station of MediaCorp in Singapore. It broadcasts classic hits from the 60s and beyond. Their stable of DJs includes Singapore's granddaddy of radio, with over 30 years of experience, Brian Richmond.